A Service Crew Member is a minifigure who assists with space shuttle flights, and was released in 2010. 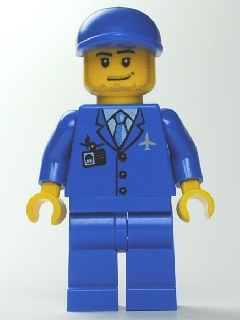 The Service Crew Member has a blue torso with airport printing and yellow hands, and has a blue leg piece. He has a yellow head piece with printing, and a blue hat. Facts about "Service Crew Member"
This page was last edited on 11 March 2016, at 22:42.